Here is an exercise I would like to share with you for the GIFT (Gateshead International Festival of Theatre) gathering 2015. 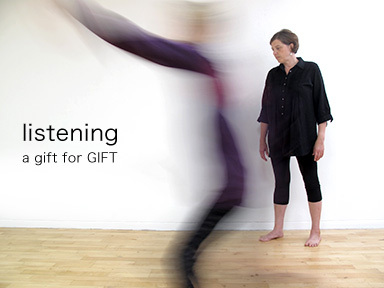 It is inspired by an exercise from The Listening Book, W. A. Mathieu, 2011, Boston, London and needs to be practiced every day for at least a week. 1. Pick one piece of art: a short poem, a song (about 2-5 min long), a painting, a drawing. Something you like, but you don’t know well. 2. Find a quiet spot, where you can sit relaxed and undisturbed for about 5 to 10 min. If you listen to music or a recorded poem/text close your eyes. If you look at a picture or some written text start your exercise from a neutral point. This is not about interpretation or performance. 3. Listen to the recorded piece two times in a row. Read the poem at least twice. If you look at a picture do it for 10 min. 4. 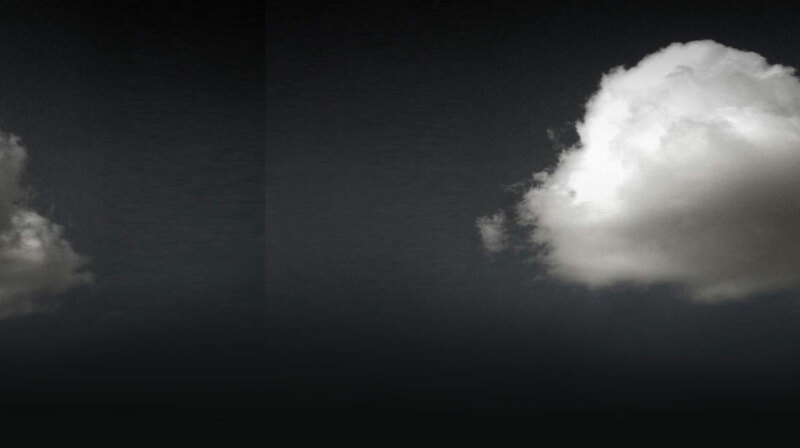 During the exercise sounds, thoughts, visions or images might appear in your head. Don’t fight them just let them pass an keep engaged with your piece of art. 5. Do this exercise for at least a week using the same piece of art every day. I hope you will enjoy this exercise! to dictate to my heart, to my body, to my narrow ideas. "Before him lay the sea, the good skin, the true surface of the entire planet." 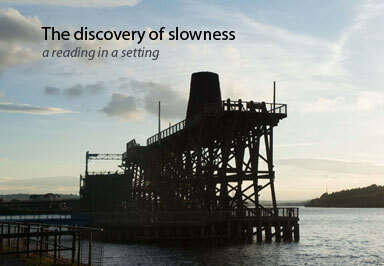 THE DISCOVERY OF SLOWNESS is a site-specific performance combining spoken word and sound. It responds to the architectural installation CONE by Wolfgang Weileder situated on the Dunston Staiths, a landmark Scheduled Industrial Monument and Grade II structure on the south bank of the River Tyne in Newcastle Gateshead. This performance is programmed by a Better Noise, Newcastle. 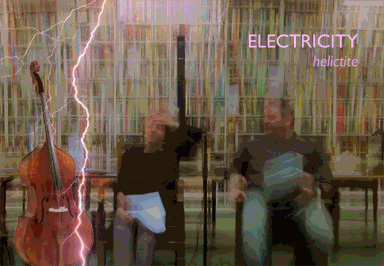 ELECTRICITY is a new collaboration between theatre-between, Helictite Orchestra (Yassen Roussev), choreographer and dancer Bethany Peacock and actor James Ryland. Electricitiy, a 20 page long poem by writer Graham Mort (CUSP), examines our common understanding of electricity as a natural force  from its incredible displays of power, right down to the tiny electrical impulses that allow our brains to operate our bodies. Giving Electricity a voice Mort unfolds a poetic social history and highlights how our incremental understanding of its potency has allowed us to harness it for our own peculiar ends. 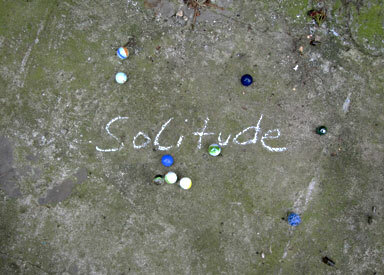 Theatre-between is currently working on SOLITUDE, a new theatre performance. 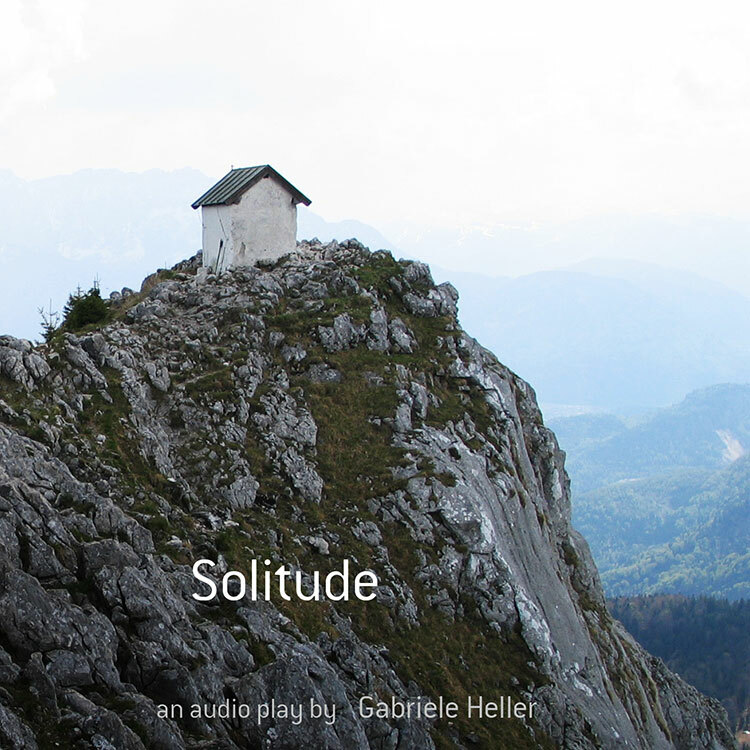 This workshop offered the opportunity to collaborate with theatre practitioner Gabriele Heller and choreographer Joelene English to explore different ideas and concepts of solitude. Starting with short text fragments, we improvised and developed movement patterns based on physical theatre and dance exercises. For more information visit the GIFT Festival 2013 website. 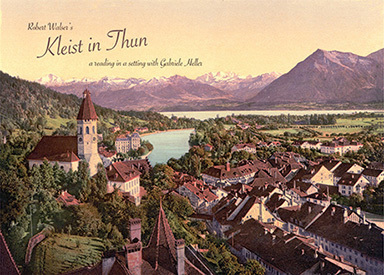 A reading in a setting with Gabriele Heller, theatre-between. Theatre-between and Skimstone Arts presented the theatre performance MORE ON THIS LATER for Festival Robert Walser (19 - 23 March 2012) in Newcastle upon Tyne. "What a fascinating piece, thought provoking and beautifully performed." "I would like to walk down the street and sit and watch, watch, listen and watch." "I really enjoyed the pieces, opened my eyes to storytelling  loved it." 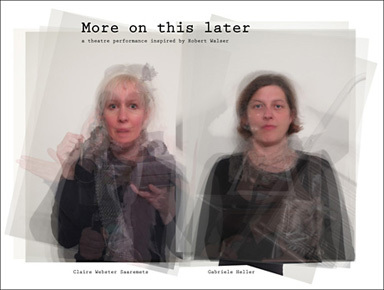 Theatre-between, Skimstone Arts and Tender Buttons delivered a free workshop at Northern Stage in collaboration with the Institute Robert Walser. Together we looked at a variety of approaches to making work from improvisation exercises to storytelling and the role of text in devising theatre. The workshop focused on the developmental process of performances that were shown as part of Festival Robert Walser.